Wooden Kitchens are the most popular type of kitchen. 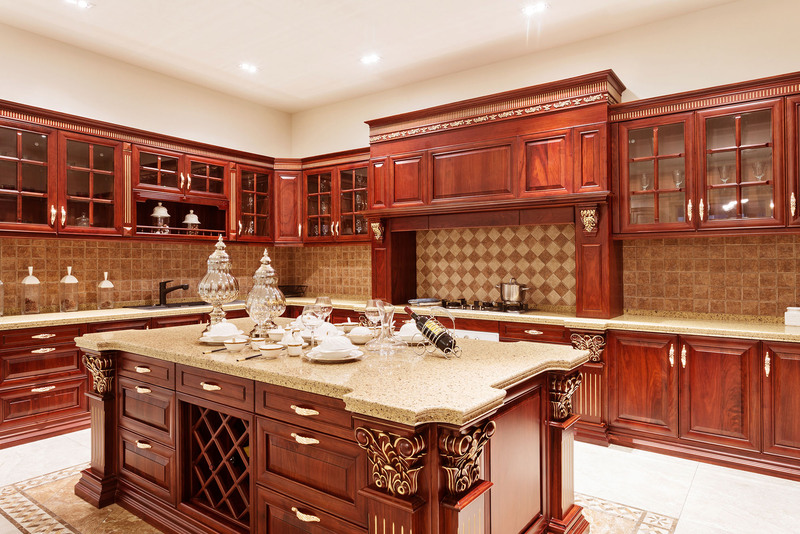 Their structure allows us to craft all different types of kitchens. With core strength and the ability to easily diversify the look and wood is simply a perfect material when crafting kitchens. Wooden kitchens style into many luxury kitchens. Designer Kitchens offers all of these, Shaker, German, High Gloss and many other styles designed using wood. Maple is a stunning material. Its bright colours allows light to flourish in any kitchen. It also benefits from its strong and durable core. Maple is a popular choice for contemporary kitchens. Cherry wood is possibly the most beautiful of all materials. Its stunning rich red colours enhance the look of your kitchen, to make it look beautiful and elegant. Cherry Wood kitchens are priced well, and a perfect investment. Due to their added natural furnishing, Maple kitchens are strong, durable and last longer than other materials. Cherry wooden Kitchens are a popular choice for traditional kitchens, they integrate well with natural granite worktops; however, their design is very versatile, allowing them to be developed into a contemporary style kitchen. Veneer kitchens offer a painted wooden option for a kitchen, with a natural wooden grain. The veneer style integrates perfectly with light and dark colours, allowing you to design your kitchen in the way you want. The wooden grain within the material offers a natural appeal, which looks beautiful with a granite worktop and other traditional products. Although Veneer wood primarily has a natural look, colours can change the outlook of the kitchen. Painting the Veneer colours such as red or yellow, creates a contemporary look and feel to your kitchen. Therefore you can have a touch of convention to your modern kitchen. High gloss laminate has one of the most competitive prices within the kitchen market. The structure of the material adds to its strength and durability. Gloss wood is commonly used in contemporary kitchens. The shine gives an aesthetically beautiful look. Designer kitchens craft these units to look sleek, neat and streamline. We also believe that your kitchen should be a long term investment, with this in mind we design the gloss with a semi-molten foil over the core of the wood, and once pressed together you have a water and heat resistant material.